Posting a story on Do Some Good can make an impact, while also celebrating Goodness! Interested in the nitty gritty details? Your main newsfeed includes stories from businesses or organizations that you are connected to or have favourited, as well as any stories that Do Some Good has chosen to share as a 'community post', which will be seen by all users. Your post is more likely to be shared as a 'community post' if it focuses on recognizing community goodness (volunteers, organizations and/or businesses) or if the post is focused on impact. Select the 'Pin' icon (beside the camera icon) to choose to embed videos, GIFs or tweets that can be played and interacted with right within Do Some Good!!! This includes YouTube videos, Facebook videos, and much more! You can also grab any position or event and share it via the newsfeed to help raise awareness of a cause and can use @ mentions to get others involved! Mentions can be used to recognize business users of Do Some Good, organizations, volunteers and co-workers. They create a link that can be clicked to view the user's profile and also sends the user a notification. *Don't worry about making a mistake, as you will be able to edit or delete your post. Once you have posted, simply use the drop-down menu (shown in the picture below) and you can choose "edit" or "delete". Do Some Good's powerful editing features allow you to change the text and remove or replace the image if you need to. What's great about Do Some Good is that your story is being seen by a large number of local, active & engaged citizens, organizations and businesses that care about your community. Your story is seen by a powerful, local niche group of those who care about volunteerism, giving and overall goodness. Once you've posted on Do Some Good, we also make it easy for you to share to other social networks. You can also choose to share your post or any other post that inspires you via your social media or using a link for anyone to see, even if they are not users of Do Some Good! Do Some Good makes it easy to create and share inspiring content and has introduced the ability to 'Re-share to Do Some Good'. 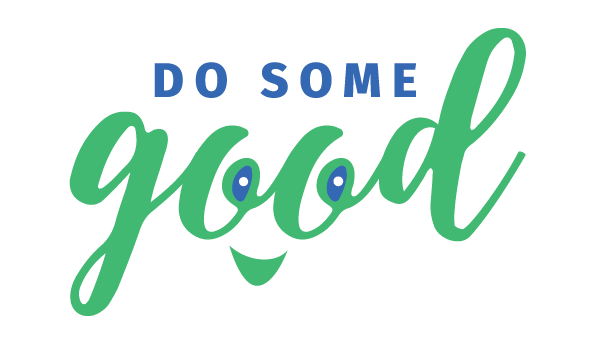 When you find a great post on Do Some Good, you can re-share it, add a comment and @ mention people who might be interested. Find a story or post that interests you, or that you think others might enjoy, and re-share it to increase the reach and exposure that it receives. When you re-share the original post, you may want to @ mention any organizations, good companies or people that you work or volunteer with, so they are notified. You have the ability to post on behalf of your organization or business. If you are an admin, beside "Posting as [your name]", you will see a dropdown arrow that you can select to choose to post as your organization or business.